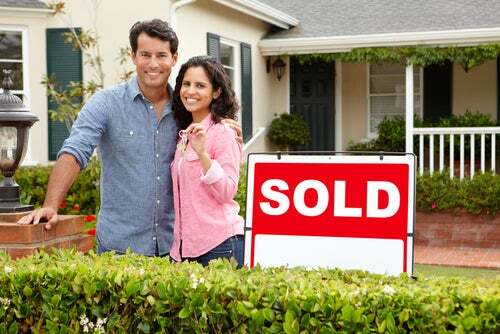 For many people, buying a home feels like “the next step” on the checklist of life goals. But it can be an intimidating project — especially if you feel held back by your student loans. About 37 percent of Americans between the ages of 18 and 29 report having outstanding student loan debt. More and more people these days are wary of credit cards, which is not surprising since Americans hold more than $1 trillion in credit card debt. . But the truth is, not having a credit card could negatively impact your credit. The longer and more stable your credit history, the better you look to lenders — and credit cards are one of the easiest ways to establish credit history. It’s also good for your credit to diversify your debt between revolving credit (like credit cards) and loans. Consider getting a credit card and only using it for a few necessities, like groceries or gas. And make sure to pay off the balance every month so that you don’t get caught in a cycle of credit card debt. A strong credit score is one of the most important factors when applying for a mortgage. A 690 credit score or higher is generally considered good. Anything less than 560 is considered poor. Pay all your bills on time and consistently. If you have a lot of credit card debt, make higher payments to lower your balances and get your credit utilization rate below 30 percent. Check your credit reports to make sure everything is accurate. If anything appears fraudulent, it’s important to initiate a credit dispute immediately. Your debt-to-income ratio (DTI) is also an important factor in whether you are approved for a mortgage. A debt-to-income ratio of 43 percent is usually the highest that will be approved (lower is better.) If you are one of the twenty-five percent of student loan borrowers with $43,000 or more in loans, and you are on the standard 10-year plan with a 5.7 percent interest rate, your monthly payments are probably about $471. Depending on your income and other debt, this could be eating up quite a bit of your DTI. You can lower your DTI by paying down your debts. You may also consider consolidating or refinancing your student loans. You will probably need to extend the terms of your student loans, but you could secure a lower monthly rate in the process. One of the best things you can do to prepare for the home buying process is to save money for a down payment. If you have a down payment of at least 20 percent of the purchase price, you are more likely to get approved for the mortgage and get a lower interest rate. You will also pay a lower monthly payment, and you won’t have as many fees (like mortgage insurance). A 20 percent down payment isn’t the end-all and be-all, but it is a good goal to strive towards. Depending on your financial situation, you may want to consider delaying your home-buying dreams until you have time to plan, save and improve your credit. Consider contacting a credit repair company to learn more about how to improve your credit score. The housing market will still be there when you are ready. If you want help assessing your credit, or if there are negative items you would like to see removed from your credit reports, contact the legal credit repair experts at Lexington Law Firm today. Learn how you can start repairing your credit here, and carry on the conversation on our social media platforms. Like and follow us on Facebook and leave us a tweet on Twitter. This entry was posted in Loans and tagged credit card, credit history, Credit Score, debt-to-income ratio, home buying, student loans. Bookmark the permalink.